Happy Easter everyone. I hope everyone is enjoying the holiday weekend and this amazing start to Spring! The last few days in Glasgow have been glorious with the sun beating down and the temperatures finally starting to rise. It really has been a treat. 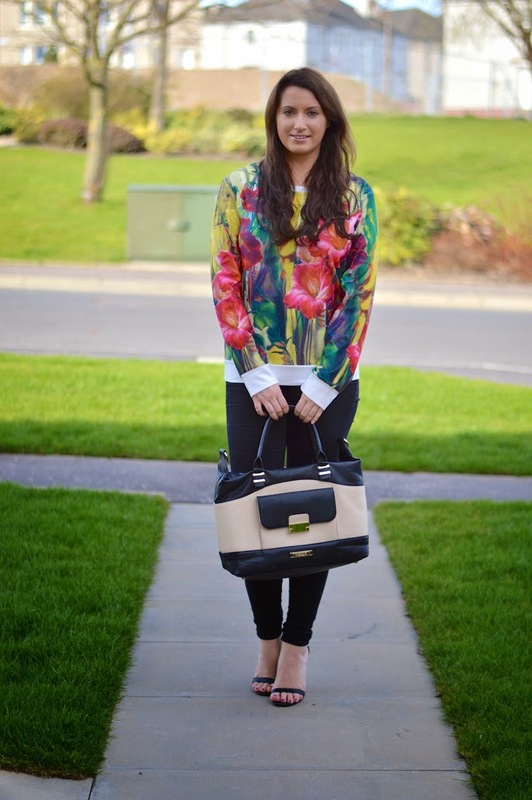 I thought what better way to start off the Spring months than in my Narina floral sweater from Blue Vanilla. 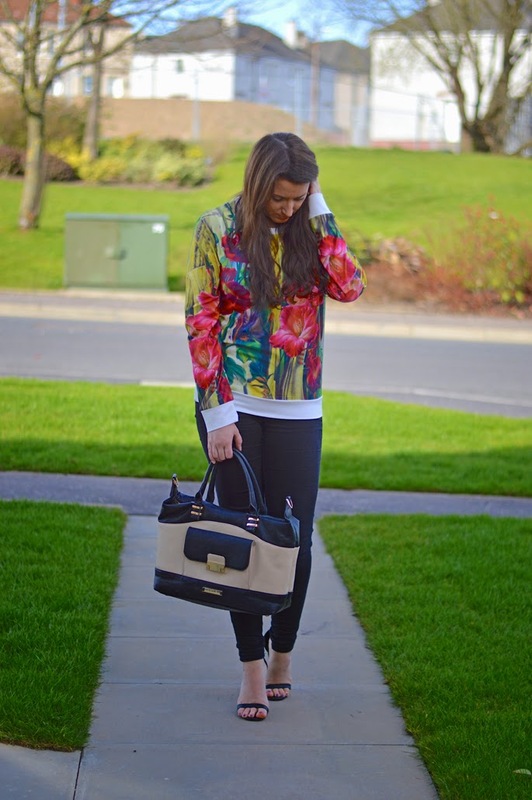 It has Spring written all over it with the array of bright colours and big floral prints. Enjoy the rest of the holiday weekend folks! Pretty floral! I love your black jeans with the heeled sandal. I need to try that! 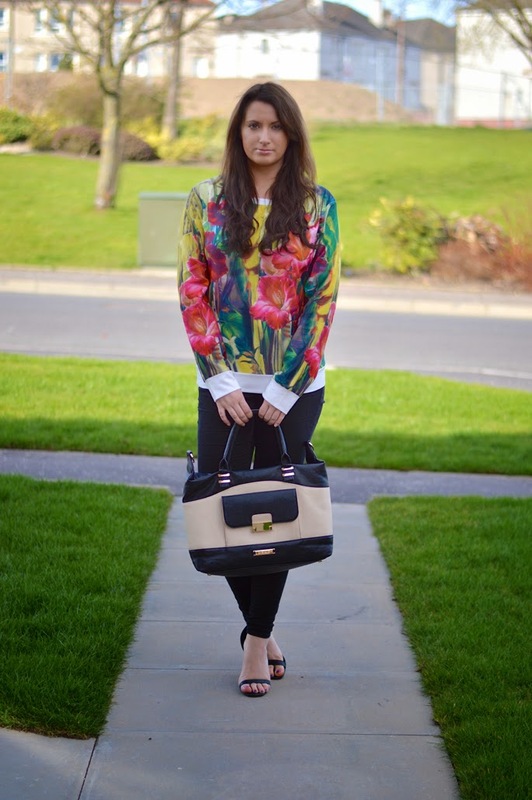 Great pop of color with the floral top. Loving the killer heels! Very pretty top...thanks for hosting the link up! Happy Easter - your top is incredibly pretty! first of all I love your outfit! second, thanks for doing this link up I think it is a great way to meet new bloggers, i also host a link up every two fridays if you would like to join us or host you're very welcome. That shirt is amazing! So perfect for spring <3 You look perfect (and your front lawn is also perfect, haha)!